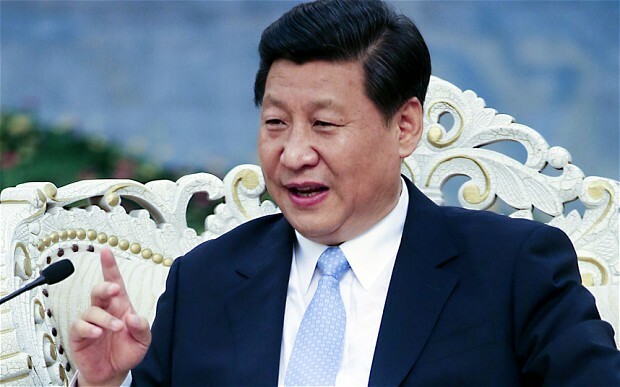 New China government led by president-in-waiting Xi Jinping made a strong statement with shouting and trouncing his both the hands on the bench that the world has to adopt Chinese language to be with China. "Boss, everybody has to demand cheap Chinese goods and products in Chinese language or otherwise go to hell or to US and Europe," said Jinping who also said that the country should not try to "appease" the West on this point. Strongly mentioning his point, Jinping said "WTF guys, you don't understand how much difficult it is to learn English. Chinese is quite simple and easy. It is socialist too, if we consider that most of the people in the world speak only and only Chinese and no language else." Sources said that Barack Obama in his newly elected government is also going to make it compulsory to all the governors to learn Chinese first and to teach it to public in their territories. "Yea that circular we have received. Just trying to understand how do they design," said one Governor of the US without disclosing his name. Jinping said in his speech to the nation that instead, the country should proceed determinedly to establish socialism with Chinese characteristics in the country. In practice, it would be a continuously evolving system, which, while successful economically, be in sharp contrast to what has been promoted by the West. "We also have to wear clothes in Chinese language and not to imitate the wearing style of West," said Jinping who immediately removed his black coat, shirt, tie, belt, pant and also undergarment in front of the nation and immediately wear beautiful red coloured Chinese gown. He said "We don't wear anything below our gown. Not even undergarments, which is western style of wearing clothes. I instruct all Americans to stop wearing all of their clothes and shift to Chinese gown.I am also going to wear a dragon hat." He put a dragon hat on his head and immediately threw some fire from his mouth, saying grrrrrrrrrrrrrrrr.